Balance is one of the most overlooked aspects of the golf swing. A normal stance creates a wide stable base with which to swing. Take away that stable base, like swinging with your feet together and you will really test how good your balance is. When your feet are together you have no choice but to let the club swing freely as your body stays centered. If you move your head or body when your feet are together you will lose your balance. Test your balance today. Try hitting some shots with your feet together. If you move your head or lunge with your body as you swing with your feet together then you will be thrown off balance. This classic drill will help ingrain the feeling of swinging the club not allowing you to lunge at the ball with your body. Use your normal grip to hold the Cardiogolf Shortee Club. Stand with your feet together. Keeping your head steady, swing the club back to the top and through to the finish. You may have to shorten your swing to keep your balance. Return to start position after each swing. Ideally as you swing back, the wrists hinge naturally. Every golfer has a different degree of angle in the wrists, but most good ball strikers create the wrist hinge at about the 3/4 of the way back position in the backswing. So that the club and arms form the letter “L” as shown in the photo on the left. If you lack wrist hinge, then you will probably end up hinging or bending your elbows instead, destroying a major power lever in your swing. This drill will help you feel how the wrists hinge on the backswing. Notice how your arms and club form the letter “Y”. Make a wide takeaway, hinge your wrists and stop at the point where your front arm and club form the letter “L”. Hold the position for a moment, swing to the top and finish swing. Return to the start position and repeat for 8 to 10 repetitions. Karen Palacios-Jansenis a LPGAClass A Teaching Professional and a Certified Personal Trainer specializing in Golf Fitness. 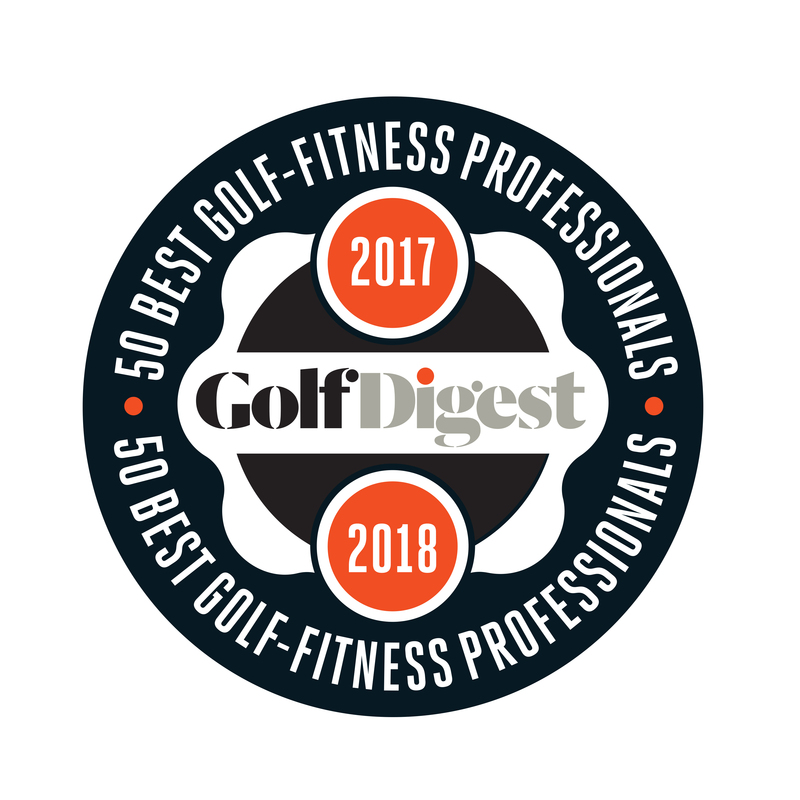 Karen serves as the National Vice President of the LPGA Teaching And Club Professionals Membership and has been voted as one of America’s “Top 50 Golf-Fitness Professionals”by Golf Digest Magazine and “Top 50 Instructor”by LPGA. Karen received the prestigious LPGA National Teacher of the Year awardin 2008.